A complete professional communications solution for your next event. Dollar Radio Rentals when clear communication is a must. 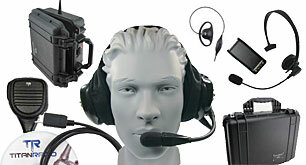 Repeaters, headsets, surveillance kits, speaker mics, chargers, cases and optional programming software. 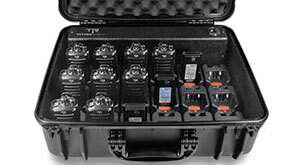 Super-tough Titan Pelican Case is also a rapid charging station. Charge up to 18 radios at one time. “Everything was awesome. We loved the radios and they were far superior to what we have been using. Rent rugged and reliable two-way radios for communicating within your event area, job site or even across town — starting at $1.99 day! Choose from Titan Radio, Motorola and Sonim. We offer ultra-rugged radios that meet military standards. Heavy duty shouldn't mean heavy weight. Our ultra-light 2 way radios weigh as little as 4.9 ounces! Choose from long range walkie talkies with repeater capabilities to the Sonim Bolt that uses the AT&T Network for maxium coverage. Dollar Radio Rentals uses FCC licensed frequencies and radios are narrowband compliant. UHF range offered is 400-470 MHz. All of our radios are pre-programmed and can be used right out of the box. Additional software and programming are available on request. Our digital radios offer background noise cancellation features and voice enunciation for clear communication in noisy environments. 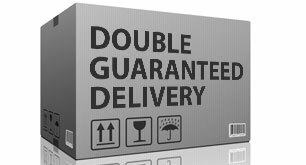 With one of the largest fleets of two-way radios for rent in the nation, we guarantee your radios will be in stock for delivery. See details.